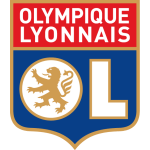 Olympique Lyonnais vs HSC Montpellier predictions for this Ligue 1 clash as Bruno Genesio’s side look to sort out their league form. Montpellier threw away a golden chance for three points last week and will be looking to right their wrongs here. Read on for our free betting tips and match preview. Lyon have got a tricky last stage of the season on their hands as they sit seven points off of 2nd placed Lille. Genesio’s men have simply had too many slip-ups this season and are feeling the effects as they sit some way off of the runners-up spot and have Marseille snapping at their heels with them just three points behind. Lyon cannot afford any more silly results. However, that’s exactly what happened last week as they surrendered a two goal lead to Strasbourg to eventually draw 2-2. Lyon followed this with a 5-1 thrashing in midweek to see them drop out of the Champions League in Barcelona. Lyon were really on the back foot in the game and with them now on a run of ten games with just a single clean sheet, they are very much walking a narrow tight rope. 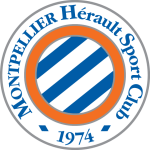 They have been much better going forward with eleven goals scored in their last four goals but with eight of these being against relegation threatened sides, there is still room for improvement in this team; a convincing victory over Montpellier would be great for settling the nerves. They have won just three of their last eight games which isn’t exactly ideal form for a side trying to finish 2nd. Montpellier were 2-0 up against Angers last week before conceding twice in the final 15 minutes to eventually draw. It was a sickening result for Michel Der Zakarian’s men who are in dire need of a victory. They have won just two of their last 14 games despite opening the league campaign so strongly with an unbeaten streak stretching from August to late October. Their form has really dropped off a cliff and they could risk falling out of the top seven if they don’t get anything from this match. Earlier in the season they were heralded for such a sturdy defence but that has been far from the case recently as they have kept just one clean sheet in their last seven games, conceding 15 along the way. They haven’t even been that poor going forward as they have scored seven times in their last four matches but their lack of quality at the back has brought them just four points from this possible twelve. They haven’t beaten a team outside of the bottom eight since November so this clash with 3rd placed Lyon looks a scary one for la Paillade. Neither side are in great form relative to their league place but Lyon have a great home record which could bring them the three points here. They have won four of their last five at the Groupama and have scored 12 goals in this time, two of which were in their 2-1 victory over PSG. Montpellier don’t have as impressive a run of results on the road as they have won just one of their last eight away games. Due to this and their horrible defensive record, we’re backing a Lyon victory here as they are great at home and have been scoring well recently. We’re backing a 2-1 win for the hosts. We’re also backing both teams to score as each side are in good attacking form and this market has won in six of Montpellier’s last seven games and in Lyon’s last four. Lyon have lost only two of their last 12 games in Ligue 1 (W6 D4): at Nice (0-1) and Monaco in February (0-2). Montpellier have won only two of their last 13 games in Ligue 1 (D7 L4), in January against Caen (2-0) and in March at Bordeaux (2-1). Lyon have lost only two of their last 21 home games in Ligue 1 (W15 D4), in August 2018 against Nice (0-1) and in December against Rennes (0-2). Montpellier have won only one of their last seven away games in Ligue 1 (D4 L2), but it was the last one at Bordeaux (2-1). Lyon have scored two goals or more in six of their last nine games in Ligue 1. Lyon’s captain Nabil Fekir has scored more Ligue 1 goals against Montpellier than he has against any other side (7). Andy Delort has been involved in five of Montpellier’s last 10 goals in Ligue 1 (3 goals, 2 assists). Three of his last four goals in Ligue 1 have been scored following an assist from Gaëtan Laborde.